﻿ Welcome to Provence Cycling Holidays! The Villa in Taillades - self guided bike tours in the Luberon Regional Park, Provence, France. One of the main themes of our self guided bike tours is flexibility, we want to give you the tour that's right for you! When you're here you'll use our comprehensive Ride Directory (30 rides) to help choose the right rides for you. 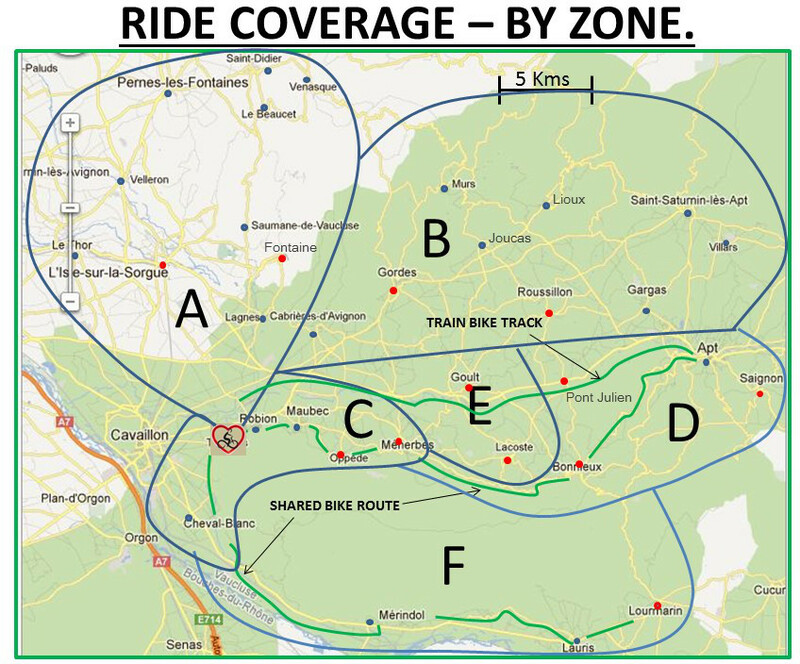 Start by choosing which of our 6 different zones you want to visit that day. Then choose the distance and the amount of climbing that suit you. You ride the distances & see the sights that you want to - when you want to! 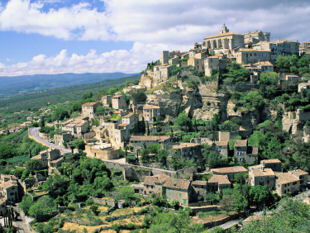 And if you want an afternoon of no riding, why not enjoy the pool or visit one of the many beautiful Luberon sights. Simply select your chosen ride number on the very latest & easy to use Garmin GPSs (Edge 1000s) that we use and set off from the villa - it's that simple! We also supply easy to carry info cards for each ride, which list all of the best sights, activities and tried and tested restaurants along your route, allowing you to benefit from our local knowledge and get the most from your day. We provide quality Trek aluminium hybrid bikes built for comfort and speed, and all the kit you need for a safe and problem-free holiday, as well as breakdown back-up should you be unlucky enough to need it! We can also provide electric assistance bikes for those who would like a more gentle tour (€28 per night, including insurance - please enquire at the time of booking). We hope you'll enjoy your stay at our stylish villa in the Luberon Regional Park with its stunning countryside, hilltop villages and calm backroads - it's a great backdrop for biking. ACCOMMODATION: We hope your stay will be a comfortable one in our new Provencal Villa. The villa has 3 bedrooms, 2 with queen sized beds, and 1 with two single beds (that can also be moved easily together to form a double, if necessary). The villa has two stone-clad bathrooms (one ensuite and one shared over two rooms), both with large walk in showers, large wash basins and a WC. 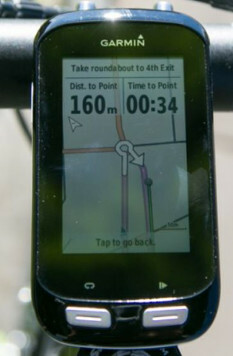 Using the Garmin GPS system on your bike, you select your chosen ride & then simply follow the route - it really is that easy! This means you'll be able to do some excellent self guided biking, in great countryside, without the need of maps & having to stop at every junction. Click HERE for more details on our GPS Systems... And for your peace of mind in the unlikely event that you have a mechanical problem, help is just a phone call away. A TYPICAL DAY: We have examples of what 2 typical days of cycling look like. The 1st example is for guests that put more of an emphasis on the cycling, whilst the 2nd example has an emphasis on the sightseeing. Click HERE to see these two examples. BIKE & EQUIPMENT: You'll use our brand new quality Trek aluminium hybrid bikes, which combine the comfortable riding position of a mountain bike with the perfomance of a road bike. We will also supply all the essential equipment you'll need for stress-free riding. Click HERE for more details. 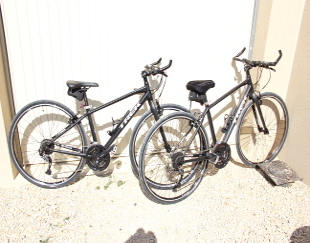 We can also provide road bikes or electric assistance bikes for those who would like a more gentle tour (28 € extra charge per night, including insurance - Please enquire at the time of booking). 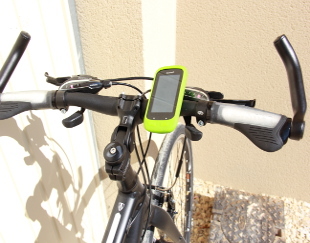 FLEXIBILITY: We want to give you the self guided bike tour that's right for you, this means it needs to be flexible. As what is good for one person might not be right for the next. Our tours let you do as much or as little biking as you want. There is no "one ride a day to fit all" here, and there is definitely no time schedule to keep to. So if you want to stay by the pool in the morning and then do a quick ride to a hilltop village or vineyard - you can. 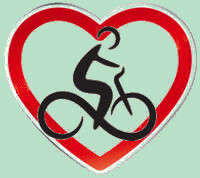 But if you're more inclined to be on the bike by 9am ready for a day riding - that works too. Neil and Nathalene were really helpful with advice on the rides, which restaurants to try and the best places to visit. All in all a fabulous holiday and highly recommended!" Julia & Graham - UK - July 17 Villa-based Tour Review. 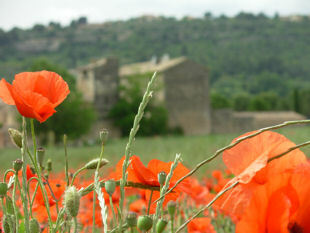 "I cannot say enough good things about our trip to Provence Cycling Holiday. We were 2 couples traveling together & this was perfect for us. Biking through Provence is the most fabulous way to really see & enjoy the area, and having a "home base" where you can unpack for the week & come back to after each day's ride & just relax was exactly what we wanted. If you like the idea of a bike trip but not living out of your suitcase & having to change locations every night, this is the trip for you." Andrea & Gerry - US - June 15. "If you are keen to explore the stunning Luberon Park by bike without the hassle of transporting your gear, then this is undoubtedly the holiday for you. They have established an excellent base from which to visit vineyards and old villages and ride on wonderfully quiet Provencal roads. The experience is enhanced by so many wonderful features: owners who have a keen interest in cycling and a fanastic working knowledge of the region; mechanical support for all your cycling trips; and a Garmin GPS facility to get you round without worry. In general, a truly wonderful part of France and a riding holiday made perfect by congenial hosts that showed a genuine interest in our well-being.."
Dave, US - Jul 14.
" It's especially great if you're with a group, and different members want to enjoy different levels of cycling trips - and then reconnect at the house." Sarah, US - Jul 13. "I cannot recommend strongly enough, if you are looking for an easy going and flexible touring arrangement for the Provence area. You can ride as little or as much as you like..."
D. Moliterno - US - June 12. "We wanted more flexibility than other tours had to offer - the perfect Provence holiday..."
Click HERE to read more about our Accommodation.